Cotswold Line Promotion Group members, supporters and friends enjoyed an evening out on the Gloucestershire Warwickshire Steam Railway, riding on a steam charter train as part of the group's 40th anniversary celebrations. 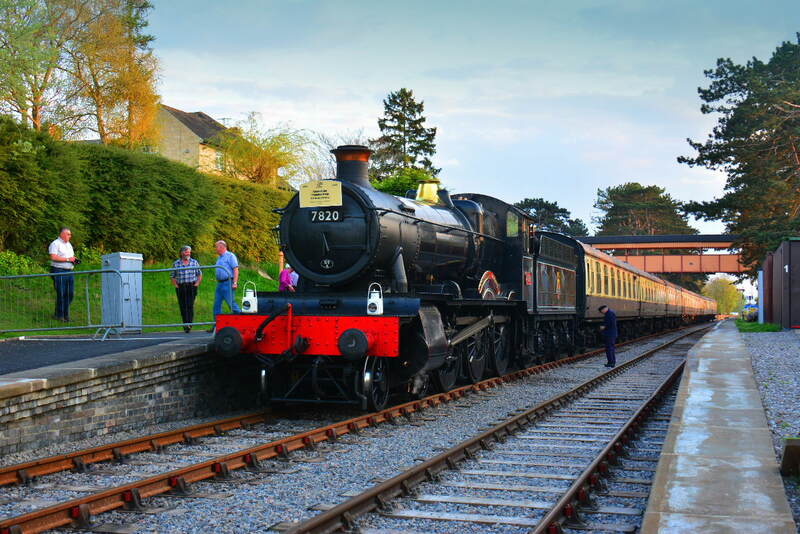 The train, on Saturday, April 21, ran from the GWSR's headquarters at Toddington to its newly-opened northern terminus at Broadway, then covered the full length of the preserved line to Cheltenham Racecourse station, before returning to Toddington. The locomotive in charge of the train was Great Western Railway Manor Class No 7820 Dinmore Manor, which carried a special headboard to mark the occasion. Broadway's new station, pictured right, is built in the style used by the GWR in the early 1900s, when the line between Honeybourne and Cheltenham was constructed. It features a GWR footbridge which was in use at Henley-in-Arden station in Warwickshire until 2014, when Network Rail installed a modern replacement. The signalbox is based on the one at Shirley station, south of Birmingham on the line to Henley and Stratford-upon-Avon. CLPG chairman John Ellis said: "The evening was a great success and enjoyed by all on board. I would like to thank everyone who did the work to make it happen and our friends at the GWSR for welcoming us and making it a great occasion." Among the passengers, as John's guests, were former colleagues from British Rail's senior management team, Chris Green, Gordon Pettit and Theo Steel and their wives. The CLPG was represented at the official reopenng of Broadway station on Good Friday by the group's President, Lord Faulkner of Worcester, who is also a patron of the GWSR and President of the Heritage Railway Association. He unveiled a plaque to mark the occasion and rode on the footplate of GWR Hall Class locomotive No 7903 Foremarke Hall, which hauled the inaugral train. 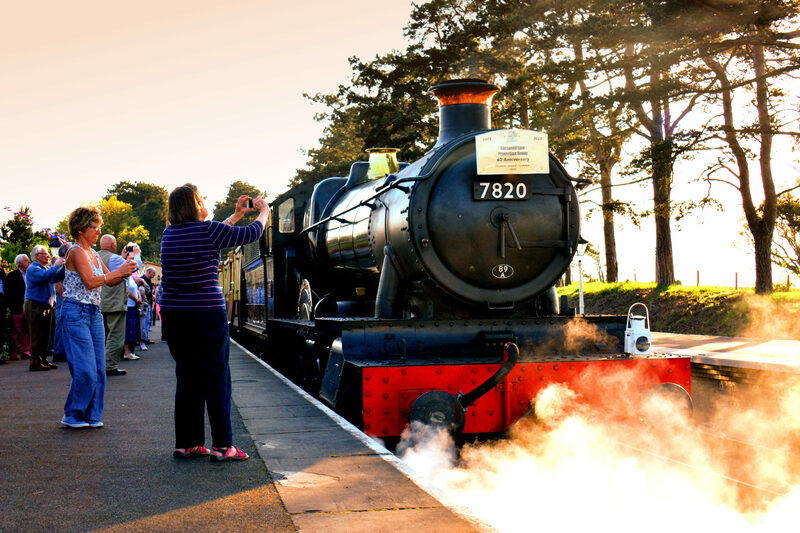 Click here for more details of the reopening celebrations and the GWSR.